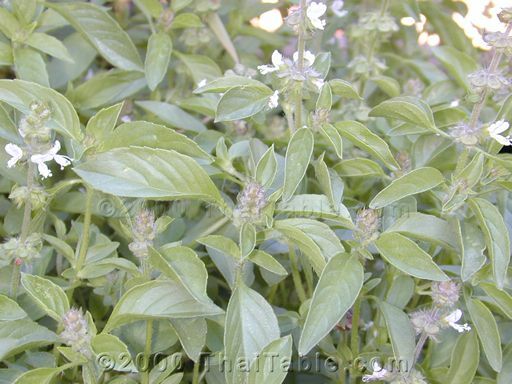 Lemon basil or bai mang lug looks similar to Italian basil but has tiny hair on its stems. The leaves are smaller. It definitely smell "lemony". Seeds are soaked and eaten as dessert. When soaked, the seed forms a tiny cloud and looks like frog's egg. The dessert is served with coconut milk and syrup.